In 1997, five retired electricians began meeting monthly to fraternize, talk of old times and past jobs that they had worked on. Over the following months more and more retired members attended, having such a good time that it was suggested future meetings should include spouses, partners and widows of retired brothers. 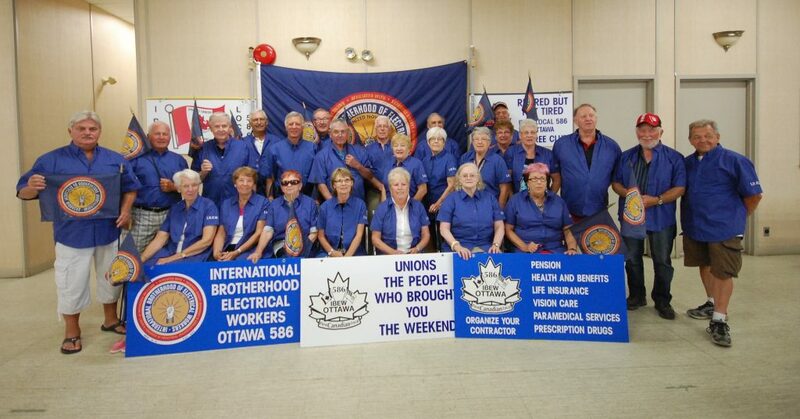 It wasn’t long before it was decided to apply for a Retirees Charter from the IBEW International Office as official recognition of our Retirees Club. 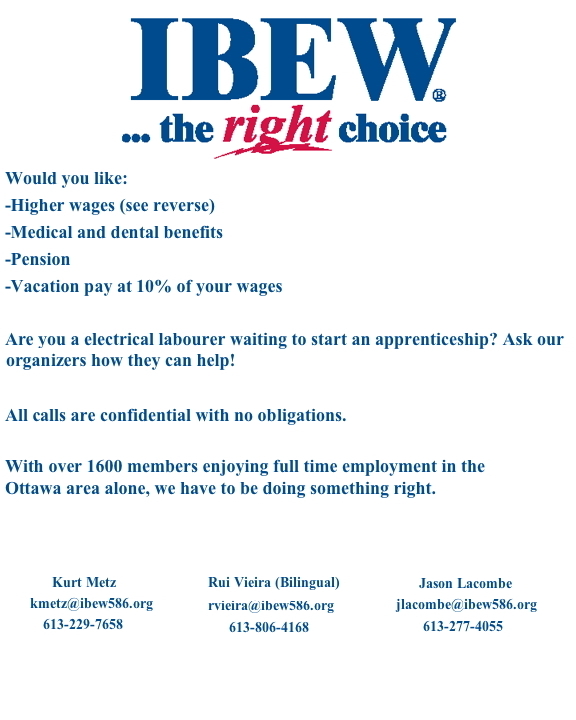 On the 16th of October, 2000, we had our certificate of recognition for the IBEW Retired Members Club Local 586 granted. The Retirees Club plans many excursions throughout the year. We have travelled extensively on day trips as well as multiple day trips across Ontario, Canada and the United States. We work with local charities, visit retired brothers and sisters with reduced mobilities at their homes or Institutions and we play an essential role in many of the functions and events at Local 586, organizing and volunteering for the Labour Day Parade, the Local 586 Turkey Bingo, the IBEW 586 Fishing Derby and the IBEW 586 Hockey Tournament just to name a few. Our executive board, committees, and general members consist of retired members as well as wives and partners. We run a monthly newsletter informing the retirees of upcoming meetings, events and proposed outings of the Retirees Club. We have a lot of camaraderie and respect among our membership of where we come from and what we do as an IBEW Retirees Club. Through the years the club as grown and even as we are getting on in age, we become a very active, if not the most active, retirees club of the IBEW in Canada.